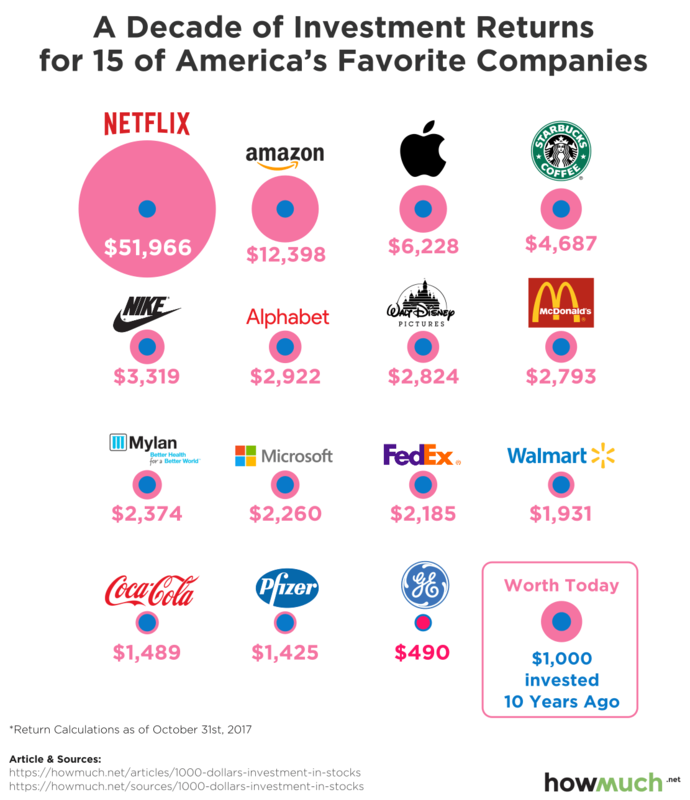 Back in 2007, financial website 'How Much' made an interesting comparison looking at some of America's most popular stocks, to see how much an investment of $1,000 in each of them would be worth today. Next to such giants as Netflix, Amazon, and Apple, Starbucks Coffee turned out to be an excellent bet. Your initial – imaginary – 2007 investment of $1,000 could be well worth $4,687, today! See the graphic below. The larger the pink dot, the more your investment would be worth today. David Tarantino, of wealth and asset-management, capital-markets, and private-equity firm Baird, stated that if the company achieves its new long-term objectives, it will continue "within the top-quartile of revenue growth for S&P 500 Consumer Discretionary companies." First things first, if you're new to the stock market, choose your first investment carefully. Start with bigger, established names, of which Starbucks would make a great alternative. Also, if you're interested in the bigger-scale, we also recommend looking at our fantastic Index CFDs – including the Nasdaq (#NQ100), which includes Starbucks, among 99 other top US companies. Let's take a quick peek at what's going on with the Nasdaq 100. 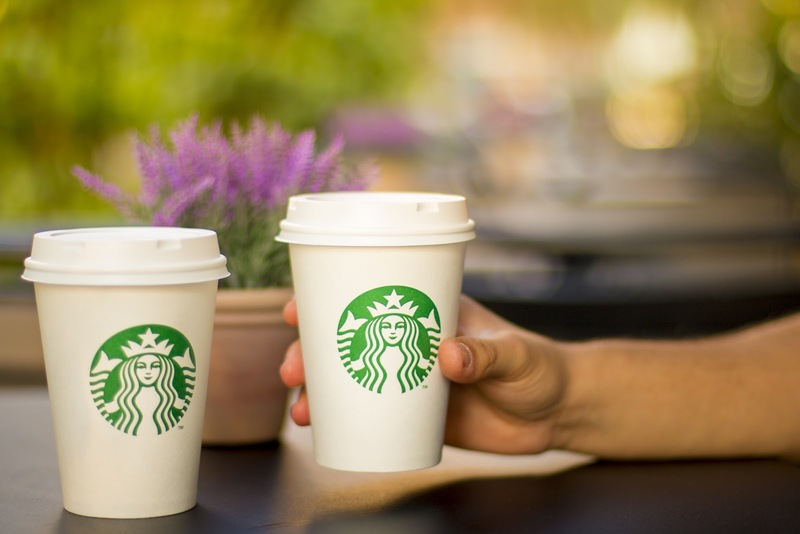 The NQ100 trades shares in a variety of companies and among the listed companies is Starbucks (#SBUX). Technically, we can see a Head-and-Shoulders pattern that has formed at the top of W L4 support. The price looks double bottom-ish. It's going to be either make it or break it. If the price drops below the W L4-6904.80, we could see 6980.64 and 6902.72. 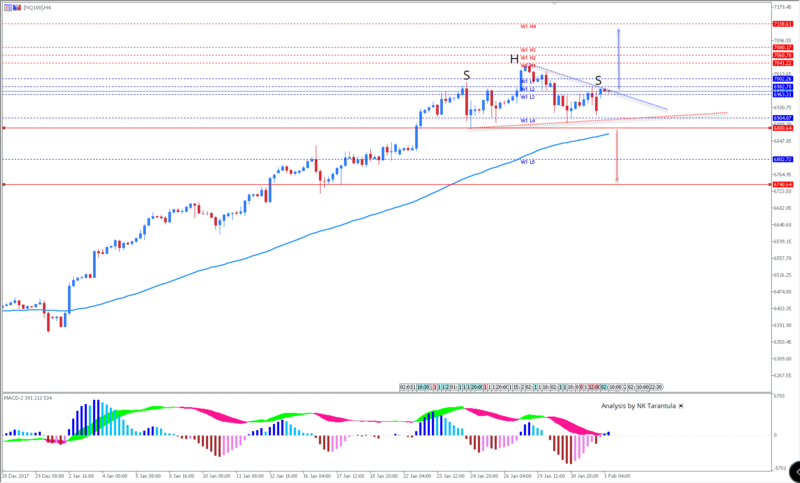 However, if the price breaks above the right shoulder, Weekly H (resistance) pivots are in play. Next targets could be 7041.22, 7060.70, 7080.17 and finally 7138.61. Whether it's Starbucks, Apple, or Exxon, Admiral Markets offers you access to one of the widest ranges of financial instruments in the market. Check your options here. Be a responsible investor and trader by sticking to proper risk management and choosing Admiral Markets. Our package of advanced Volatility Protection Settings and our Negative Balance Protection policy, mean that we can help you avoid some of the reefs of the trading world. Got it? Why not test a new strategy or plan on a risk-free Demo Account? Experience real market conditions using virtual funds! We hope you enjoyed our input this week. We wish you a lovely weekend and a productive February ahead! April 22, 2019 16:00 EUR/USD and GBP/USD about to drop significantly below 1.1200 and 1.3000?